Crafted from nickel silver and chrome, the Huntingdon Table Lamp by Heathfield & Co features a contemporary form with a strong versatility. Inspired by striking minimal shapes found in modern interiors, Huntingdon will suit a wide variety of home styles. Pair with geometric prints and dark wood for a look that draws inspiration from the Art Deco era. Or style with bleached white walls, monochrome and tropical plants to create a sophisticated scheme. 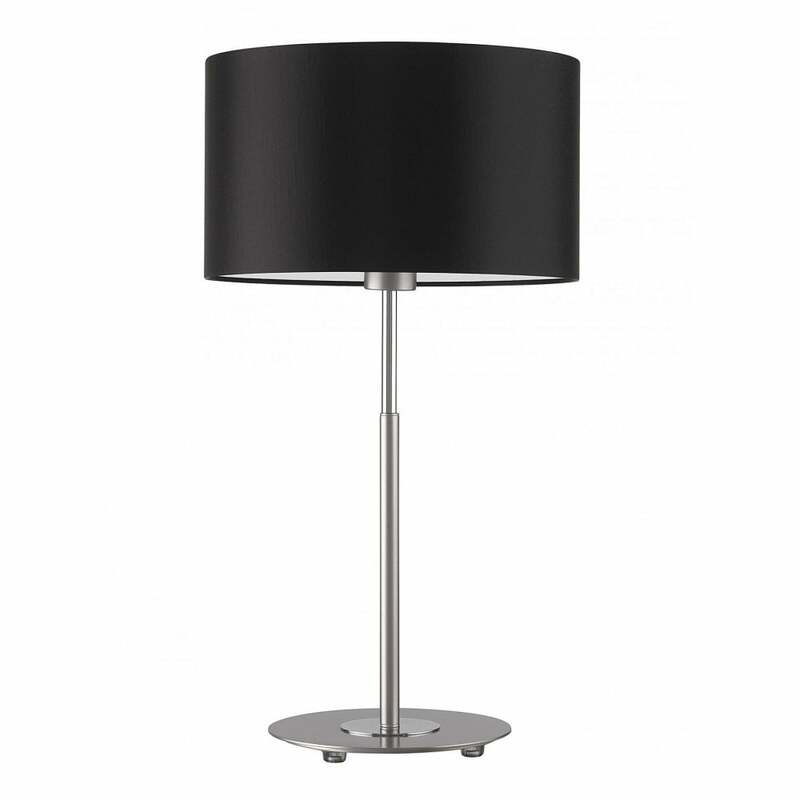 Completed with an exquisite, black satin shade, this designer lamp has endless appeal. The Huntingdon range also includes floor lamp and wall light options. Priced for 12″ Flat Drum shade with silk outer and white pvc lining. Other options available.